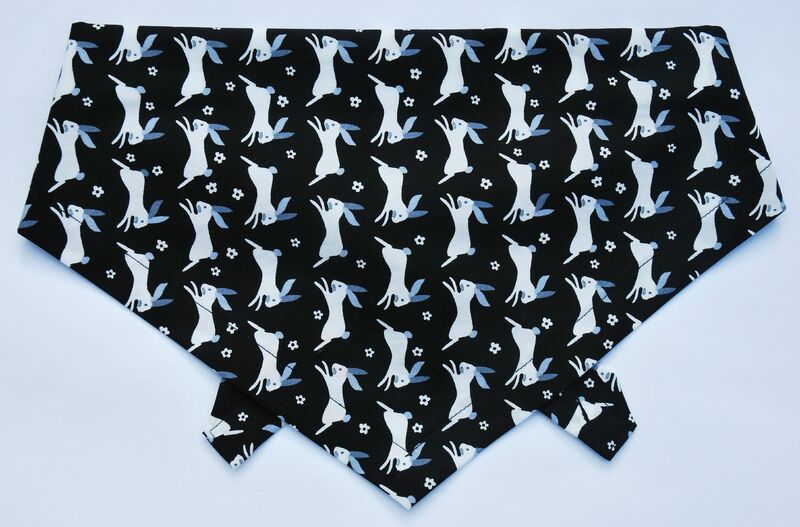 A stylish and fun black and white Rabbit Print dog bandana. The cute rabbits are chasing each others tails, and there are little white flowers between the rows. 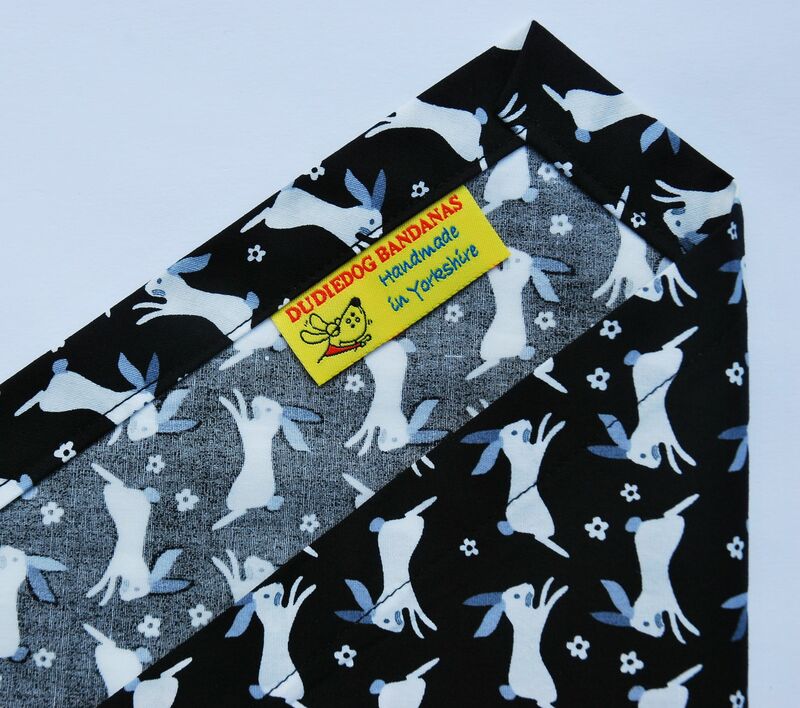 The background is black, and the rabbits are white with grey ears and tails. 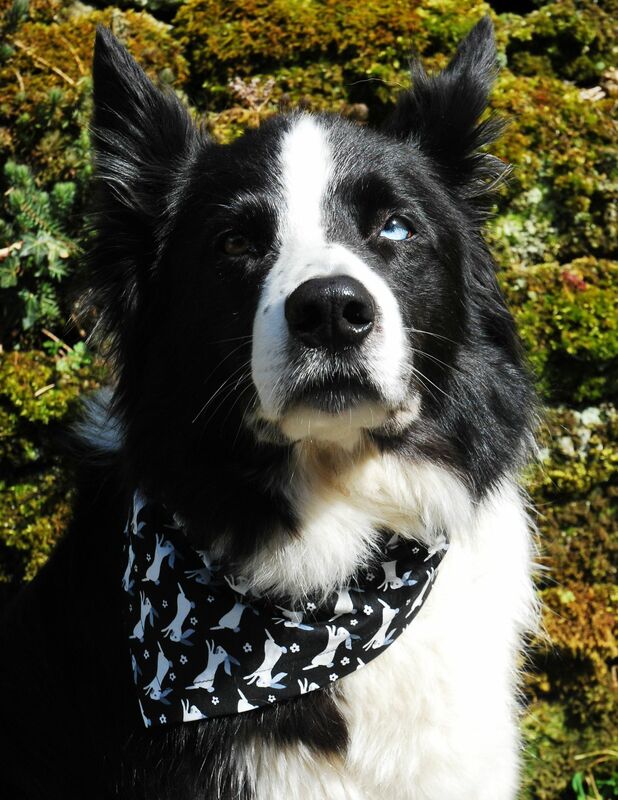 This is a great, cool look for any dog, particularly if they re bunny obsessed, and like looking for rabbits when they're out and about on their walkies!